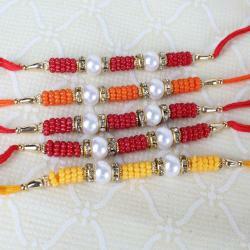 Product Consist: Five Rakhi of Colorful Small Beads. 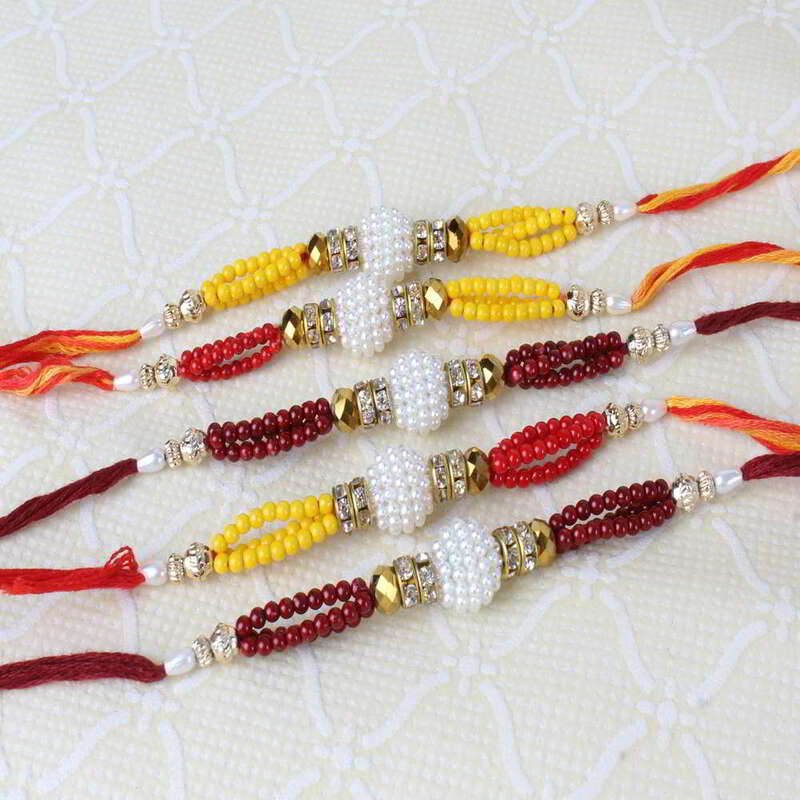 In order to strengthen the love between sister and brother, just go with the Five Rakhis made of Colorful Small Beads, which surely will work on perfectly depicting the essence of your relationship. 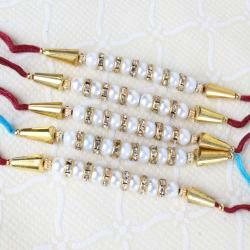 Most of the rakhis are made up of soft material which is unbreakable and stays in such way for a whole year. 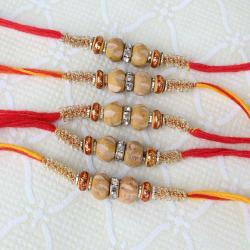 From the five set of Rakhi, you can go with the best colors and designs which impresses your brother. Therefore, the brothers and sisters need to find out the right online store that has a lot of the experience in offering Rakhis of amazing style and color at best price. 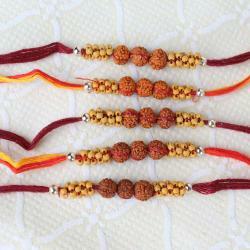 Product Consist: Five Rakhi of Colorful Small Beads.